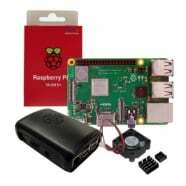 What is a Raspberry Pi?The Raspberry Pi is a low cost, credit-card sized computer that plugs into a computer monitor or TV, and uses a standard keyboard and mouse. It is a capable little device that enables people of all ages to explore computing, and learn to program in languages like Scratch and Python. It can also be used for more specific user programmed tasks with its huge array of add ons that can be attached… Let your imagination run wild! What is NOOBS?Noobs is an easy operating system installer which contains Raspbian. It also provides a selection of alternative operating systems which are then downloaded from the internet and installed. What is Raspbian?Raspbian is a free operating system based on Debian optimized for the Raspberry Pi hardware. 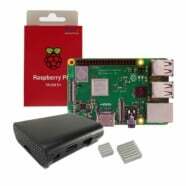 An operating system is the set of basic programs and utilities that make your Raspberry Pi run.